Those horses prone to laminitis will often have to endure a diet which minimises the calories they receive and avoids turnout on lush, pasture. However it is important not to forget that the laminitis prone equine still requires the vital vitamins and minerals in the diet and when feed and turnout is simply reduced, they often do not receive the nutrients they require to maintain health and well being. Horslyx offers an ideal method of controlling calorie intake in horses and ponies prone to laminitis without compromising on valuable vitamins and minerals. The carefully chosen ingredients offer a balanced and palatable method of feeding the required nutrients to help with hooves, coat and skin and general wellbeing. The rate of consumption of food is the key to safe feeding for overweight equines and those suffering from or prone to laminitis, and Horslyx is perfect as licking takes time and patience. 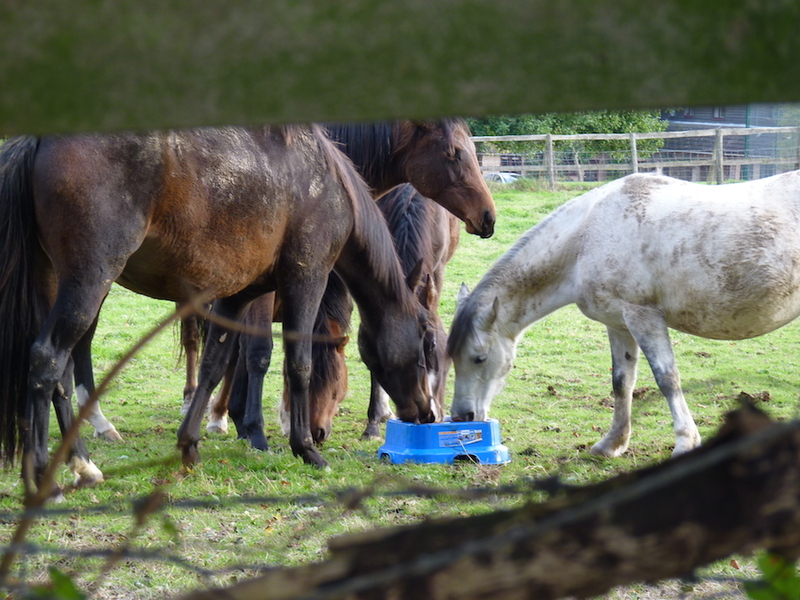 Allowing them restricted access to Horslyx will give you peace of mind that they are still receiving a balanced diet without the risk of adding extra calories through concentrate feed. Introduce Horslyx gradually and provide your laminitis prone equine with access to the nutrient rich lick for 1-2hrs per day or use the 5Kg Holder with the restrictor bars which will allow restricted access 24hr a day, to ensure he maintains optimum health whilst on a restricted diet.